Steven, a character who has appeared in previous Shin Megami Tensei games, is now making a return in the upcoming Shin Megami Tensei IV. This strange man actually developed the demon summoning program in the first game, which allowed humans to communicate with the demons. His character is supposedly based on Stephen Hawking. 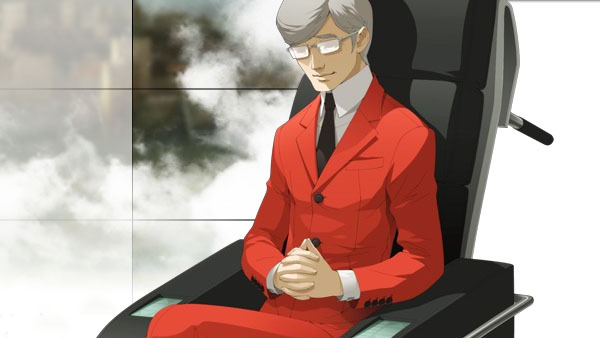 We will probably find out more about this guy when Shin Megami Tensei IV is released later this summer.